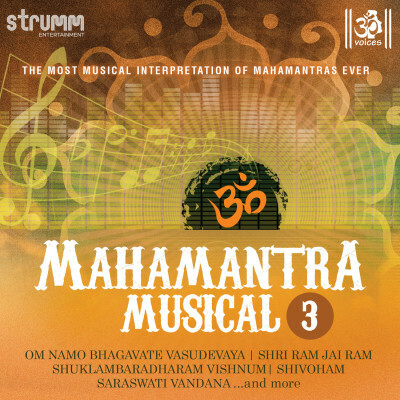 With Mahamantra Musical 3, we present to you the 3rd volume in the series with even more divine, soulful music. The album showcases a delightful musical interpretation of some more of the greatest devotional verses in Indian spiritualism. The all-girl devotional choir OM Voices conducted by composer Sai Madhukar renders the verses in their unique soothing harmonic style, accompanied by a fantastic array of Western and Indian instruments. Listen to these sacred verses to create an auspicious ambience and to lighten up your soul. OM!